Having high-quality, plush fabric doesn’t have to be expensive. 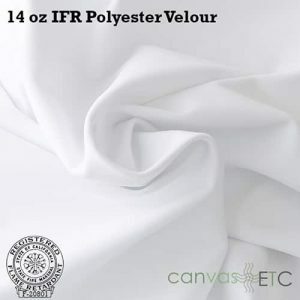 Our velour fabric is not only impressive and elegant, but it’s a budget-friendly fabric option! 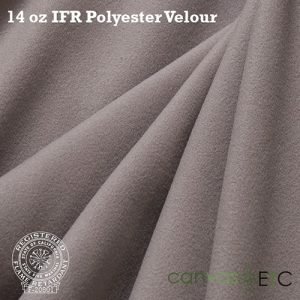 At Canvas Etc., we proudly provide a lush and gorgeous velour fabric selection for all of your needs. Our velour fabric is a knitted fabric that is similar to its woven counterpart, velvet. The fabric itself comes in a synthetic variety for endless uses! Drapery: From theater curtains to your own window treatments, our velour fabric is well suited for the task! Keep the sun out during warm months for cooling your rooms down, or add a luxurious effect to any room with this beautiful fabric. Upholstery: Sit like royalty on our fabric! This fabric has durable properties that will uphold against regular use. We offer volume discounts on higher yard yields! Upholster all of your furniture with ease with our fabric offerings. Clothing: Velour has been a staple fabric used in clothing for decades! It’s velvet feel and stretch made it ideal for clothing like skirts, sweaters, and more! Our IFR (inherently flame retardant) fabric is machine washable and holds it’s color after multiple washes. It also remains inherently flame retardant after washing as well. 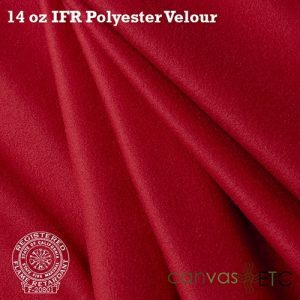 Sold by the yard or the bolt, velour is a versatile fabric that will be a favorite for dressing up your projects! We also carry size and color variations! Contact us today if you have any questions on how our fabric can suit your every need.